And it revealed a ScoMo many voters may not know - but could become familiar with. 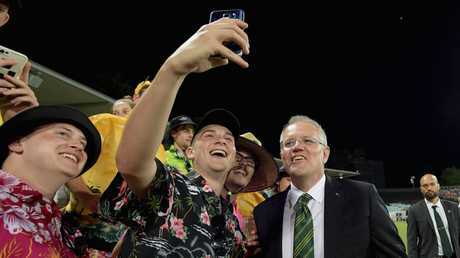 The scene was the Prime Minister's XI match, Australia Vs South Africa, at Canberra's Manuka Oval on Wednesday evening. Mr Morrison apologised, particularly to a little girl, but said he couldn't linger as he had a commitment to meet. He said he would return. "Can you do a Hawkie and scul it?" asked one of the group of men. And he did, putting the empty cup on his head, a traditionalist to the last drop. 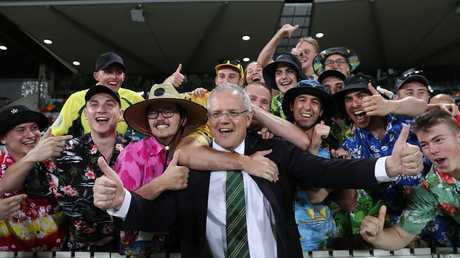 But the cricket ground moment, and those following, did establish that Mr Morrison can mix it with voters in a way his predecessor Malcolm Turnbull could not, and in a manner Labor leader Bill Shorten doesn't. 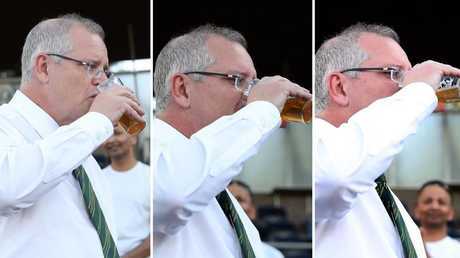 A professional marketing strategist, Scott Morrison has - since his takeover in August - played a deliberate role as a man of the people, a pie-and-beer football fan on the hill who wears a baseball cap. 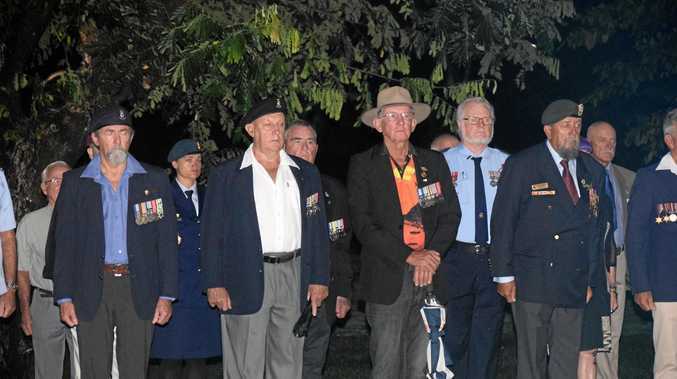 He mingled with some of the pumped-up folk and signed autographs to a background chant of "ScoMo, ScoMo". 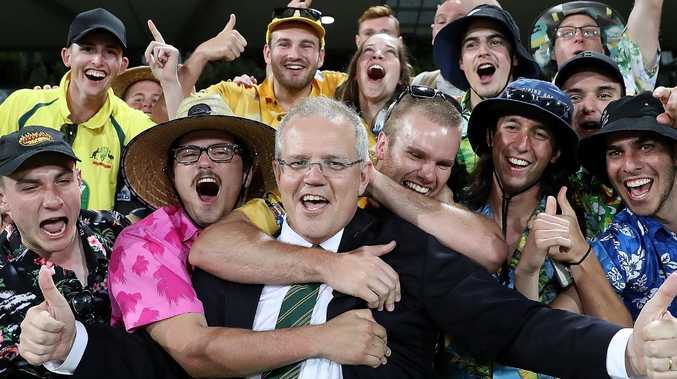 Later, during the winners' presentation, a group of about 15 men in Hawaiian shirts took up the ScoMo chant, and he couldn't resist saluting them. After the ceremony he went over to the barrackers.